The fifth generation of Fast Video Cataloger, FVC5 has finally arrived and is available for trial or download. This is a very big deal as you will find out when you test it. We are so very proud and we hope you will like it as much as we do. So what is all the fuzz about? Whats new in Fast Video Cataloger 5? In a big rewrite of the program we are proud to say that Fast Video Cataloger is now a 64 bit program. It is a needed upgrade as more and more catalogs are getting really big and with 64 bit technology we welcome that developent. Speed improvements for catalogs is always a focus and this release is no different. With this release we belive we have the fastest video cataloging software in the world for catalogs of more than 5000 videos.Using comparable hardware. We have also improved speed on catalogs running of a USB disk. By frequent requests of customers we have now added coloring of keywords and a new keyword manager. You may now add your own video properties as an extension to the ones installed from start. These are off course searchable as well, we know that there is a need to go outside of the ordinary properties and this is the solution. We have added support for advanced scripting via a scripting console. The scripting is done in c#. We have even added a few examples so you can get started. We are looking forward to see more examples from the community. Lots of small nice improvements (renaming of genres, auto load on mouse over thumbnails, shortcuts when you hover over a thumbnail and so on). Are you an existing customer? Congratulations….. FVC5 is free for you. For all of you that are already customers, this update is for free, simply go to the download page and get your copy. Before updating please make sure you have a backup of your catalog (as always) and (this is very important) please install this version in a new folder separate from your previous installation. Fast Video Cataloger 5 is a 64 bit program and it will only run on a 64 bit version of Windows. If you try to install it on a 32 bit version of Windows it will fail during installation and the program will not start. When considering to choose a video database solution there are a number of questions you need to consider. Here is a number of questions to help you evaluate any video database based on your requirements. Do you need a company solution? 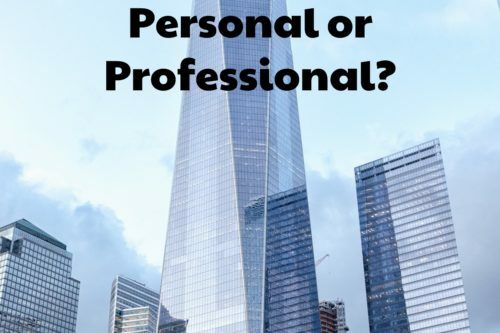 Is the video database for personal use or for a company? If it is for personal use you might have a look at vidine, a great solution for personal videos. Personal or professional video database? Are you using it for movies or custom videos clips? If you are looking for a personal media center to watch movies there are cheap software designed just for that. Consider Plex or Kodi, both great software that also let you automatically scrape data from known movie databases. There is a huge difference between software designed for movies and for custom video clips. Media centers are great for known movies and where the focus is more on watching the movie than searching between and inside movies. Select a video database solution that is designed for the types of videos you are primary going to keep in your database. Do you need to search individual video scenes? Do you need to assign keywords to individual video scenes and search for them? Do you need to quickly browse scenes inside videos? Do you need mark new points in a video as a scene? Do you care about speed? Slow software is frustrating to use and it will take you longer to get your job done. Desktop software will always be faster than any a cloud solution. Desktop software that can make use of multiple CPU cores and the GPU will be faster than software that cannot. Are you using Windows? Or a mix of systems? Select a video database solution that is designed for Windows if you are a Windows user. Cross platform solutions is not going to take advantage of the hardware you have and be less ideal than a solution build directly for the operating system you are using. 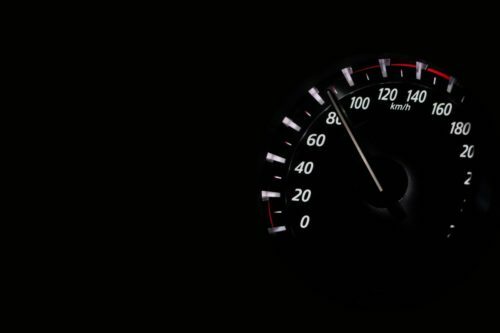 Speed is important for a software to work in practice. Do you care about security? If you care about security you will want to pick a solution that allow protection. Protection of the video database as well as the video clips and can play encrypted video clips without first having to decrypt them. Even if not all videos need to be protected it might be good to have that option for videos you do not want to spread outside of your company. Do you need to add extra meta data with your videos? Do you have extra data to store with your videos like pictures and notes? How many people need to access the database simultaneous? Do many people need to write to the video database at the same time. Do many people need to read from the catalog at the same time. Considering how the video database will be used will not determine the software to use but also the setup of that software and the guidelines for your users. Do you need to make adjustments or a custom solution? Off the shelf software will always be the cheaper option compared to a custom video database. A custom solution can actually be extremely expensive and will likley result in a worse solution than an off the shelf software adjusted to your needs. Make sure the software you decide on can be customized the way you need it to. Can it be scripted? Can you add custom meta data? Can you assign custom keywords? Can it use all your screens? Why considering Fast video cataloger as a video database solution? Fast video cataloger is a fast custom video database solution for Windows that allow you to index and search videos as well as individual scenes. It is easy to setup and evaluate. Download a free trial version and feel free to contact us if you have any questions or need a longer evaluation period. Are you looking for software to allow for multiple computers to search a video database over your network? Fast video cataloger is the perfect solution if you are using Windows as operating system. You can download a free trial version of the software from this address: https://videocataloger.com/download/. First make sure the software suits your need by testing it as a local program. The software works exactly the same in a network setup but testing a local installation is easier. If you are doing an evaluation I highly recommend doing the first step of that evaluation on a local setup as is gets you up and running in minutes. 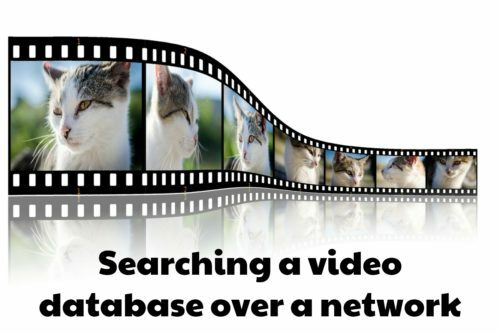 Do you need to search a shared video database over a network? Do you need multiple people writing to the catalog? If you want multiple people writing to the database you need a server setup. Fast video cataloger is available both as a server version as well as a client only solution. Please contact us at support[at]videocataloger.com if you are interested in evaluating the server version. It is pretty easy to setup and we are happy to help you get started. Today we only provide the server version on direct request to make sure we can help everyone get it setup correctly. We do expect to open it up later as a public download once we have enough training material available. Do you only need multiple people reading your video database? The release of Fast video cataloger 5 is getting closer. Today I want to talk about perhaps the biggest and most powerful feature we have ever added to the program. This is not for everyone but if you are an advanced user this it can be a true game changer. We added true support for scripting to Fast Video cataloger. 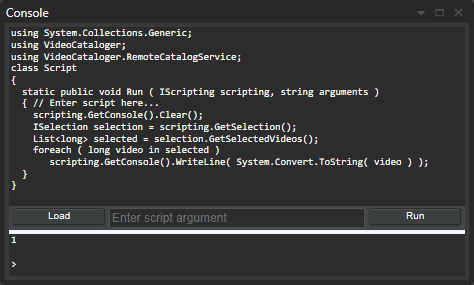 Enter video scripts in the scripting console window. I decided to use C# as a scripting language after careful evaluation. C# is a very powerful language and one of the language we have used to write Fast video cataloger (We use C, C# and C++). With the new scripting support you can extend the program to optimize workflows for your users and enable new workflows by integrating Fast video cataloger with other programs. Since the scripting language is c# you can also build on everything that is available in the .net library including building a graphical user interface for the extended functionality. Scripting is introduced in 5 and you will have full direct access to the video catalog. In other words you can do everything with the catalog that Fast Video Cataloger does. We also provide access through script to part of the user interface. For example, you can easily check what video is currently selected and get data from that selected video. We have no idea how this is going to be used but we do expect to continue to develop the scripting interface based on your feedback. To run scripts we have added a new window where you can enter scripts and also print output from scripts to help debugging. The script window is obviously not the best place to develop scripts. We recommend one of the dedicated development environment like for example visual studio code where you get syntax highlights and so much more. However, the script window allow you to tweak scripts and to play around with the sample scripts we will release together with version 5. We also made it possible to create new actions that launch scripts. That way you can your favorite custom scripts always one click away. We would love to come in contact with users who wants to use the scripting support to make sure the API supports what you need. This is the initial release and we expect to expand this in future updates of the program based on yours and other feedback. As of today you can signup to get early access to the new Fast Video cataloger 5. UPDATE: Fast video cataloger 5 is released and can be downloaded from the download page. Video cataloger 5 will let you do video keywording in color. 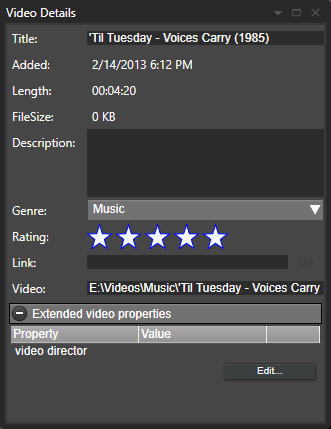 Fast video cataloger 5 is not far from being released and it has lots of small and big improvements. Today I will share a bit about what we have inproved with keywords, search and color. Update: Fast video cataloger 5 is now available for download. Over the years we have had several requests where users want to remove keywords from their catalog. Previous the only way to remove a keywords was to remove it from everwhere it was used. Only then was it removed from the catalog and not listed in the suggested keywords. In Fast Video Cataloger 5.0 we introduce a new keyword management dialog. In the keyword management dialog you will be able to see statistics on how each of your keywords are used. You can rename a keyword in one place and the change will be propagated to everywhere that keyword is used. This has been a common request from users who has discoverd a misspelled keyword thats been used on alot of videos. Hopefully this new feature will save time. Another new feature in the keyword dialog will let you quickly remove a keyword from all videos where it is used. Just click a button and the keyword will be removed from the entire database (as always… don’t forget to make regular backups of your catalog from time to time… there is no way to get back keywords once they are deleted). Finally, we added colors to keywords! You can set the color yourself from the keyword dialog. 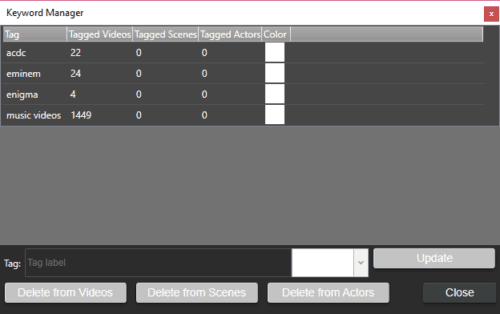 Colors are available for all types of keywords; video keywords, scene keywords and actor keywords. The default colour for new keywors is “white” but as mentioned you can easily change that. Coloring keywords give you one more dimension of organizing and with some clever use you should be able to quickly find the keywords you are using the most. Hopefully this addition will allow you to work even faster with your video collection. But, what is a 64 bit video program? What is the difference between a 64 bit and a 32 bit program and why are we making this change? In short, a 64 bit program is better equipped to handle large amount of memory and that is why the next major update of Fast video cataloger will be 64 bit. On Intel CPUs software can run in either 32 bit or 64 mode. In 32 bit mode programs are limited to use 4GB of address space. 32 Bit programs and can be run in a 32 bit or 64 bit version of windows. The 64 bit desktop version of Microsoft Windows has been available since Windows Vista. Today just about everyone is running on 64 bit windows. 2. Under System, you can view the system type. In Windows some of the address space is reserved. By default a 32 bit windows program only has access to 2 GB. With some tricks a 32 bit program Windows program can at most get access to 3 GB of memory. However, there is nothing preventing multiple 32 bit programs running in parallel each using 3 GB of memory. In practice, most applications never really needs more than 2GB of address space. So the big advantage of a 64 bit program is that the program can use more than 3 GB of memory but what are the downsides compared to a 32 bit program? • It can only run on a 64 bit version of Windows. • A 64 bit program can also only use other 64 bit components. For example, A 64 bit video player using direct show filters can only use the 64 bit versions of the filters. 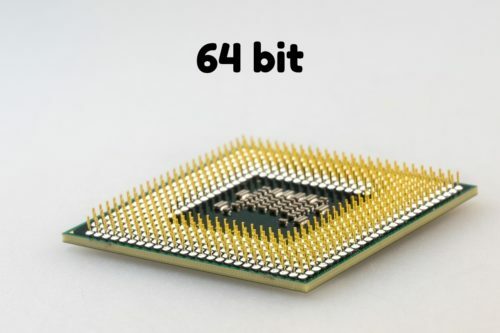 • A 64 bit program use more memory than a 32 bit program (since each pointer is twice the size). • Support for 32 bit directshow codecs used to be rare and of lower quality because they were not as well tested. • Anyone running a 32 bit operating system would not be able to run the software. • It was not really needed. • It hides memory leaks that the 3 GB limit forces us to address. Today, just about everyone is running a 64 bit operating system. Driver developers are planning to drop 32 bit support: nVidia announced they will stop supporting 32 bit operating systems. Directshow filters are common and well tested and last but certainly not least we start to actually need more than 3 GB of memory. The main reason for the need for more memory is the higher and higher resolution of videos. Just playing a 4k videos with the exceptional filtering provided by MadVR consumes a lot of memory. If you also capture high res thumbnails in the program it all adds up. This year we are actually starting to see rare cases of crashes just because we are running out of memory. When a 32 bit program reaches 3GB of memory it will simply crash or stop working as expected even if there is free memory on the computer. So, to sum it all up, the next version of Fast video cataloger will be 64 bit video program. This is a huge change for us internally but you will hopefully not see a difference other than a more stable program when working with large catalogs of high resolution videos. As usuall you can download the latest version of Fast video cataloger and try it for free. A new version of fast video cataloger is available today to download from videocataloger.com/download. Fast video cataloger is the program that makes it easy for any small busniess to regain control and leverage their video content. Find what you are looking for faster and improve your video workflows. In Version 4.42 we included the state of the search boxes in the layout. You can now setup exactly how you want them for each layout (Do not forget to save the layout once you have it configured). We have learned that there is two fundamental different ways of using the program. Some almost always use the scene search while other users mainly focus on the video search. Hopefully this new improvements to video layouts will make it even easier to customize the program to your prefered workflow. previous versions. If you are still having issues please contact support so we can get it sorted. This update is free for all customers and if you have not tried to program yet you can get downlaod a free trial version from here.